In Jayewardene’s quest to become all-powerful, he tried to keep up an appearance of liberal democratic norms. He had his A team to look after legislation, appointments and securing compliance through gentlemanly persuasion. This group was from the upper class with a veneer of liberal culture. The B team were the fixers openly associated with gangs of hoodlums. Despite all the battering the Supreme Court was still not adequately, submissive it seemed. On 8th June 1983 a three-judge bench comprising B.S.C. Ratwatte, Percy Colin-Thome and J.F.A. Soza delivered a judgement in the case where Mrs. Vivienne Goonerwardene, who and her husband Leslie had been senior members of the LSSP, had complained of wrongful arrest and degrading treatment by the Kollupitiya Police. The court conceded wrongful arrest, but held that the degrading treatment alleged, had not been substantiated by the evidence. It was a minimal judgement. On 11th June, the UNP B-Team went into action. A large crowd arrived in vehicles with banners and staged noisy protests outside the residences of the judges. The judges telephoned the Police who failed to respond for a long time. Even the emergency lines to Police HQ seemed to have gone dead just then. Jayewardene was then abroad. Gentlemanly arm twisting of judges is one thing, but this brazen attack on symbols of civilised society, was another. Protests started mounting. The people were clear that JSS, the UNP trade union organised by Cyril Mathew, provided the ruffians for the protest. As the result, witnesses were not prepared to give evidence to the Police; evidence was given anonymously or in confidence through third parties. Herman Perera, the President of the Bar Association who had protested, received a threatening post card. On his appealing to Acting President Premadasa for police protection, the latter replied that it must have been a practical joke. Chief Justice Samarakoon himself gave the Police some names and other details for investigation. Of 10 vehicle numbers given, SSP Ignatius Canagaretnam of the CDB traced them all to vehicles owned by Ceylon Nutritional Foods, the Tyre Corporation and the buses among them to the CTB depots at Ratmalana, Kesbewa and Mattakuliya. All persons questioned provided alibis. The most remarkable incident in the aftermath took place on 22nd June when the UNP sought a diversion. A young man by the name of Lakshman Fernando, also known as Kalu Lucky, went to the offices of the Island and handed over two statements, one in English and the other in Sinhalese, taking responsibility for having organised the demonstration, as a democratic protest against the Vivienne Goonewardene verdict. The English draft copy had been typed on an electric golf ball typewriter, then not commonly used, and had been corrected by two different hands. The following day the JSS complained to the IGP that it was being harassed by false and baseless complaints. The Attorney General, Shiva Pasupathy, the Press reported, was unable to make a ruling on whether to proceed against Kalu (Black) Lucky. On 24th June, the Sun found Lucky at the Pannipitiya address he had given and he admitted that lawyers helped him to draft the statement. But a Police team led by Malcolm Cruz sent to the address the same day to question him said that they were unable to trace him. Further investigations by the Press revealed that Kalu Lucky was a leading member of the JVP in the 1971 rebellion (see Alles’s book – 29th suspect before the Criminal Justice Commission and sentenced to 5 years RI). He had subsequently joined the UNP and had campaigned for it. In 1983 he had a firm involved in servicing ships at the Colombo Port. The JVP in the meantime denounced him as a renegade. Most interestingly, the Sun produced Kalu Lucky’s wedding photographs, where the couple was flanked on either side by two ministers. They were Justice Minister Nissanka Wijeratne and Youth Affairs Minister Ranil Wickremesinghe. It was quite clear whose protégé Lucky was and who set him up in the judges’ episode. His role in the judges’ affair was between his appearances at the Gangodawila magistrate’s court with seven others on charges of having murdered one Premasiri. One appearance was on 25th May 1983 and the next was scheduled for 3rd August. This was just after Jayewardene won the presidential election on 20th October 1982, the advanced date being made possible by the 3rd Amendment of 27th August 1982. This was when the SLFP was in disarray with Mrs. Bandaranaike deprived of her civic rights. Fur- ther confusion had been created by a suggestion by another presidential candidate, Dr. Colvin R. de Silva, that the SLFP candidate, Hector Kobbekaduwe, would, if elected, be unseated, on grounds of being the nominee of Mrs. Bandaranaike who had lost her civic rights and was subject to disabilities. 80.2% of those in the register voted, of which Jayewardene obtained 52.9% and Kobbekaduwe 39%. At this stage Jayewardene discovered the ‘Naxalite Plot’ and proposed a 4th Amendment to avoid parliamentary elections altogether by going for a referendum – a simple majority in the referendum was to enable the UNP’s five- sixths majority in Parliament to continue for a further 6 years. The 4th Amendment was challenged in the Supreme Court by Felix Dias Bandaranaike and C.V. Vivekanandan since it made mockery of the principle of elected government. In a split decision of a seven-member bench, Chief Justice Neville Samarakoon and Justices D. Wimalaratne and B.S.C. Ratwatte held the amendment to be unconstitutional. The chal- lenge failed by the other four deeming it constitutional. They were R. Wanasundera, Victor Perera, J.G.T. Weeraratne and S. Sharvananda. The last two had proved themselves in the SPC, and the last became Chief Justice in late 1984. Pls you PhD try to do something for your country if you don’t bring your personal but lucky you got free education not any incentive from you as along as I iknow. For me am Tamil I don’t have anything to do with Tamil nadu but these Buddhists tell me to go back there but they are are the saviours of Buddha. Did not notice Vishwamithra talking about these… How queer that the analytica deep intellect of Vishwamithra was so bloody selective. Everyone in the UNP Thuggocracy has amnesia about these events. Some who were not even born during the SLFP era but enjoyed privileges under UNP after 1977 and were born and grew up under UNP tyranny much later make claims about the SLFP socialist discredited regime deny any knowledge of rigged referendums, mass incarceration and framing of people; assaults on independent judges and of course they have no goddamned effing memory of the torture chambers and mass killings, mass graves, tyre pyres, Batalanda, JVP and UNP terror. So as they say “Deiyo saakki” or “oh my god” these UNP arrogant elite privileged Royalists and Thomians all have chronic amnesia. Vishwamithra, while pretending to be neutral slams only the SLFP socialist bankruptcy but stays mute and deaf on the mass human rights abuses under JR Naaki pappa and Ranil Machoman and Premedasa who took paranoid killings and treason to new heights by providing weapons to the enemy. Owata thamai kiyanney Ammagey Redda kiyala neyda? Bravo Mr. Hoole for exposing these vermin. J.R. Jayawardene was a person who used to always profess lofty ideals and express noble sentiments. He pretended to be a fair and righteous man but deep down he was the exact opposite. Once he made a pronouncement that made banner headlines in the ‘Daily News’. That was ‘The law is the same for the beggar and the president’. That was one of his biggest lies. There are so many words that can be used to describe him accurately, but they will all be edited out by this website. Yes deep inside he was rotten, reason I left the country in 60s.Dudley had no power because JR was ruling the roost. Noble sentiments such as “If it is war you want it will be war…” in 1977; and even ‘nobler’ ones in the wake of the violence of 1983? Finally, someone has written about that era of farcical democracy under JRJ where thuggery ruled. True people might say why not write about MR but why do people remain silent on this period of assault on our senses? Thank you Sir, whoever you are for writing about this period. It seems very strange that an English-speaking Sri Lankan who takes an interest in the country’s current affairs can write of someone like Professor Rajan Hoole, “whoever you are”. Rajan is one of the brave and most enduring members of the UTHR (J), the University Teachers for Human Rights (Jaffna branch) which was probably formed sometime in the early 1980s. His three most resolute and active colleagues were Ramani Thiranagama, Daya Somasundaram and K. Sritharan. They bravely investigated and publicised Human rights violations by all sides to the ethnic conflict, issuing regular statements and reports as well as several books. The latest of these is Rajan’s 500-paged volume, Palmyrah Fallen: From Rajani to War’s End. Rajani (incidentally married to a Sinhalese) was assassinated on 21 September 1989 on her way back home to her two small children from conducting a university examinations. Her assailants were from the LTTE. The UTHR(J) maintains a website which contains all its publications except for the voluminous books produced by several members. I have heard of another Hoole sibling. This was not meant to be an insult Malini Fonseka. It was like someone finally spoke out about the issues. The heinous 1983 targeted pogrom against innocent tamils was the seminal event that made the LTTE look like heroes and brought in India’s wrath because they had to support refugees. Sorry if it sounded like this. I don’t follow UTHR(J) but thank you for the reference. It was NOT meant to be insulting. I am totally bothered by people who go into deep intellectual(or so called intellectual) discourses about MR or SLFP socialist bankruptcy and give a clean pass and a clean bill of health to all the terrible things that the UNP did after 1977. That pisses me off. The open economy, development, Mahapola were great but JRJ tried to project this Dharmistha image and wreaked havoc on freedoms, democracy and so many things. But he won because people were finally happy to see the end of socialist economic policies. Yet Hon Late JRJ fouled up on so many fronts; fighting LTTE; Indo-Lankan Relations; democracy etc. Rigged referendums; incarcerating Vijaya Kumaratunge on bogus charges. So now I know who this Professor Hoole is,(I guess it was his brother who was VC UJ?) I say hats off to him. Remember when Hector Kobbekaduwa went to cast his vote, someone had already done that? There was tremendous arrogance in his elite insider cabal. People talk about Felix Dias’s arrogance and so be it, but no one wants to be honest about the fear we had and how arrogant they were. Thanks again Malini Fonseka. My apologies or as some of my students would say “my bad”. The writer’s name is Manel Fonseka and not MALINI FONSEKA. Time for you to visit the local optician. I meant only to inform you, nothing more. And I gave never been clear about whether Rajan and Jeevan are brothers or not. Incidentally, concerning the 1982 Referendum (it seems strange that a whole new generation has grown up that knows nothing about this shocking assault in civil and pilitical rights), I happened to visit the polling station where Kobbekaduwa’s vote was cast and found that the only opposition polling observer present, an LSSPer was drunk. Perhaps he needed Dutch courage on that violent day. Subsequently, I myself came under threat at a polling station in Deal Place when I protested against people standing outside it (near the policeman on duty! ) with electoral lists, alerting names to fraudulent voters who were being brought in in vans. I whipped away one list and tried to escape the thugs. Arriving on the main road I was offered a lift by the son of a former Clerk to the House who could see the thugs chasing me. However no sooner had I got into his vehicle when a a car pulled over in front of us and another behind. Then a gun was thrust through threatening me. The titer was the UNO MP for Colombo West. The brave young man who offered the lift stepped out of the van to confront the gunman & told his driver to get away. Later that day we heard that the MP had made use of his gun in several other polling stations including one at Ladies College. Subsequently I compiled a 100-paged report on the Referendum. When the MP’s actions that day were reported to JR he promoted him to be a Deputy Minister of Defence (I think it was) in charge of Home Guards! I generally type comments to CT on my mobile & apologise for any consequent errors. Hurrah, your mobile phone got it right at last! A former grandson of a Governor-General[Thats what he told us earlier!] not knowing the author and typing whoever you are is rather strange! The Civil Service has never been civil to the poor people. When I saw, early this morning, “whoever you are” I was surprised because you yourself, write such excellent articles both about Sri Lankan politics and sociology, and about the United States where you now live (your wife is a white American, correct? – not said disrespectfully!). You warned us in a CT article at least four months before election day in America that there was a probability that the horrible Trump would be elected. The OTHER Prof. Hoole (Jeevan, former Vice-Chancellor, now unemployed), was one of the election monitors for that American election since he’s on our Sri Lankan “Independent Elections Commission”. THIS Dr Rajan Hoole is indeed an elder brother (and there are many more siblings! ), but he was NEVER a Professor. He has now retired as a Senior Lecturer. That happened because he was a vagabond, in Sinhalese areas for 15 years after Rajani Thiranagama was gunned down by the LTTE. Rajan now leads a hermit-like vegan existence (with his wife, Kirupamala) in Jaffna. He doesn’t want publicity, and will blame me for saying all this. As for you, Mr Mano Ratwatte, I’ve been so impressed with your articles and comments during the last two years that I’ve found out quite a bit about you – a University teacher in America. Impressed I was because you are knowledgeable and have excellent attitudes towards matters concerning race and religion. I didn’t know you to be William Gopallawa’s grandson till a week ago, but I knew you to be the son of Dr Ratwatte (oh, dear was it Mackie or Seevali – had worked it out, now forgotten). Be that as it may, Justice Barnes S.C. Ratwatte was your paternal uncle. Put more simply, you are first cousin to Chandrika B.K. What has impressed me about your articles was the fact that although you make no attempt to hide your identity, you have, on occasion, been constructively critical of that very political family that you were born in to. Also, you have never been chauvinistic; on the contrary you have always been concerned about the sad state of ethnic relations in this country which you still seem to love very much . It is for those reasons that I was surprised that you didn’t know Dr Rajan Hoole, who has written so much, so carefully, while keeping a low personal profile. Listen to Rajan; you’ll not make any mistake thereafter. Trinitian Mano, let me also tell you something that is not in that Wikipedia entry. Rajan was the best scholar at S. Thomas’ Gurutalawa, in 1964, at a time when your Uncle Clifford R. was doing so much for the school. When I cautioned Rajan that the omission might be construed by some to have been because that school isn’t exactly prospering (actually, they’re doing their best! ), it became obvious to me that Rajan had not looked at that Wikipedia entry for years. Someone else has omitted, but he’s not bothered; so, don’t worry, you can’t hurt a man with no ego. However, since I do respect what I know of you, Mano, may I tell you that what you have read is an excerpt of a book published more than sixteen years ago, and whose earlier chapters are only a click away from you – if you were to look at the bottom of the article itself. Thank you Sir, but I am not a Trinitian. My Trinity Relatives will be mad to be insulted by associating me with that incredible school. I went to a government school in Colombo, and grew up and lived in Colombo my entire life. So the two Professors are Siblings right? I am so glad Professor Hoole wrote about the time period that everyone pretended did not exist. Our home phones were tapped too at that time. Everyone knows how Vijaya Kumaratunge was incarcerated without a trial falsely accused of “Naxalite” activities by JRJ who it seems was not even sure of his own loyal Army to clamp down in under 24 hours when the 1983 carnage happened. But by focusing on my silly colloquialism, you are all missing the great article by Professor Hoole. That must be the focus. A lot of the same powerful figures are even more powerful now. All of what you have said is not a problem. The main thing is that I have read a lot of what you have written and I have immense respect for you. I have said enough about Rajan Hoole, including the bit that Wikipedia has omitted. He and I were class-mates for four years and we met again in June 2016, when I stayed two nights with him. The second night I met his brother Jeewan for the first time, and I met them both last month at the BMICH when 65 years of universal adult franchise (Donoughmore Commission) was being celebrated. Rajan hardly ever leaves home. I hope to hear from you; not everything can be blared out to the entire world, after all! If not for that constitution, you could not have said that you were “the former grandson of the Governor-General of Sri Lanaka”, replacing Sir Oliver Goonetilleka of Ceylon, who was quite closely related to my mother through marriage. But jokes apart, it is because you are objective in the way you look at our recent history that I admire you so much. However, what we must ALL now do is to read as much as possible of what Rajan Hoole has written. He first co-authoured “The Broken Plamyra”, which was translated ages ago into Sinhala as “Kadunu Thal Gaha”; then this “Arrogance . . .” that we are now reading, and, in 2015, “Palmyra Fallen”, which Manel Fonseka has already told you about, and for which there usually has been, for 18 months now, a huge advertisement on the right pane of Colombo Telegraph, when an article is being read. Rajan hasn’t got money to advertise! CT must be doing it for free because he’s given them the soft copy for the entire “Arrogance . . .” book, which Uvindu K., the editor, is putting on from London. (I know nothing of Uvindu, except his name, and neither of the Hoole Brothers has met him, although they’ve spoken on Skype). It’s time Sri Lankans all (including those who have now renounced citizenship – doesn’t apply to you, Mano, but it does to three of my sisters) ALL got together to put our country right. Some of his stories are more interesting than this one. Once more, to get at the other “Stories” (and all that the guy writes are short stories which deliver a message), please see the author’s name at the top of the article in blue, and click on it. It is so very important that we Sri Lankans start talking to each other – in English. Now, how do we solve THAT problem. I’m poor, but I know that the sensible things that we say to each other remains confined to a tiny deracinated minority of us who know English, and who also have the leisure to read what’s on the web. One of the reasons why we can’t ever be Singapore is because in this country, before Europeans got here, we had two highly developed languages, which we were rightly proud of. So, in the 1930s (NOT 1956 – a year which is over-quoted), C.W.W.Kannangara, J.R.J. AND SWRD Banda, realised that we had to re-assert our identity (Arumugam Navalar possibly began something similar in Jaffna, to be followed by unscrupulous guys like G.G. Ponnambalam). Yes, we had to, but we shouldn’t have prevented some who were in a position to be tri-lingual from becoming so. Now, we guys (shame on me! ), find ourselves hardly literate in Sinhala, although we can speak the language well enough. The question is, how do we get our messages across to mono-lingual Sri Lankans. Now that we’ve been saying so many things to each other, Mr Mano Ratwatte, may I agree with you on the quality of the current article, but confirm that it is strange that you hadn’t realised how much you were missing out on, by not reading Rajan. And now it may even be termed disgraceful if you DON’T spend about a hundred hours reading up all the past installments, which have not been in book order. The editor is putting them on in London, using HIS judgement. By now there are TWO places in which you will find my e-mail address. Rajan will be following these comments with growing irritation that we’re talking about HIM and not the issues; he almost never comments, but it is likely that he will, about five days on, to correct all sorts of inaccuracies that have crept in to what I have written – more serious than saying that you are a Trinitian! His contact details are not usually made available, but I may be able to get permission to send them to you. I beg forgiveness for all my trespasses. Were those the exact words? Pretty much impossible I should say! BTW, is it a serious offence not to know who the writer is when commenting on views expressed? Nothing abusive was said. Of course it’s not an offence. Just a bit surprising especially after Rajan has been serialized by CT all this time. Perhaps a little lack of intellectual curiosity. In which case, will it not be strange to expect every contributor to be familiar with everything that appears on CT pages? That is precisely the point, especially when the entire world is connected by www. Oh come on! Expecting someone with interest in Sri Lanka to be familiar with Rajan Hoole does not imply expecting someone to be familiar with everyone who writes in these pages. You exaggerate by using the terms “offence” and “expectation” whereas the original comment was simply expressing a bit of surprise (“it is strange…”). Of course it’s not an offence. Just a bit surprising especially after Rajan has been serialized by CT all this time. Perhaps a little lack of intellectual curiosity 😊. P.S. Just in case you haven’t noticed, Mr Ratwatte, the extracts CT is producing here are from a book published 15 years ago. Apart from other books by Rajan & his colleagues, in 1998 psychiatrist (psychologist?) Daya Somasundaram published “Scarred Minds: The Psychological Impact of the War on Sri Lankan Tamils”. Just to add that psychiatrist Dr Daya Somasundaram is a cousin of the Hoole brothers. As far as I know he used to be the only and thus the best psychiatrist we had in Jaffna but now there is competition. The three above mentioned have published many books and articles. I believe that all were forced to leave Jaffna but have returned. There are others who belong to the same extended family, are well educated and publish articles and books but I prefer not to name them. Not quite the case with Prof Daya Somasundaram I think. He was mostly in the UoJ throughout I think. When did many even hear about the book until it was serialized in CT? Not just the few listed by Manel, but several more important works on the subject remain unknown even to the highly interested Sinhalese reader at home or abroad. Responses by Mano R were adequate in my view; and even hinting at motives for Mano R’s unawareness of Dr Rajan Hoole’s work is uncalled for. Not knowing Rajan Hoole will not make one an ignoramus any more than knowing him make one most knowledgeable. So,your uncle is Late Monty[Ex:MP-Laggala].He was in Miller,when I was in Chapman in those heady days of the 50s. When you say that MR’s uncle was an MP for Laggala I sincerely hope he wasn’t the MP during the Referendum when it poured and poured there, & the district was the “worst affected by the floods.” However, the poll fell only slightly to 87.40% from the 88.7% at the Presidential poll only 2 months before. But I have never forgotten that Laggaka vote. It was one of the highest turnouts if not the highest in the Referendum. P.S. Of course Monty could also have been the incumbent UNP MP but been unable to resist the machinery unleashed all over at JR’s implicit command. Stuffing ballot boxes & miscounting in the absence of polling & counting observers (due to intimidation) were just some of the methods in force. The M.P. for Laggala in 1982, at the time of the Referendum would have been J.G.Wijeratne Banda. Hmmm! SLFP reduced to only 8, and J.R.J. didn’t want even those few to be in Parliament. Halim Ishak and Anura Bandaranaike got in only because they were from the multi-member Colombo Central and Nuwara-Elya Maskeliy seats. Whom did that leave as “first past the post”: Sirimavo, S.D. Bandaranyake, Maithripala Senanayake, and guys from Anamaduwa and Kotmale. And so, Amirthalingam was the leader of the opposition (with R. Sambanthan coming in from Trinco). And even so few opposition M.Ps were not enough for Junius Rex. After July 1983, he wanted to get all M.Ps to sign oaths of allegiance to a United Sri Lanka (which they could hardly do, unless they wanted to get assassinated – which did happen to so many, at the hands of the LTTE). When the Tamil M.Ps did not, they got thrown out of Parliament! Let us all salute Junius Richard Jayawardena, the man who created a monster named Veluppilai Prabhakaran! All hail, Junius Rex!! It is clear, by now, owing to Mano R.’s fortunate little blunder, that many details don’t get recounted by those of us who were young then. Also, it struck me, Mano, looking at all those relatives of yours, and their names, just how much of inbreeding there was among the Kandyan aristocracy. So, it’s a good thing that you married somebody to whom you were probably not genetically connected before Neanderthal man. When, oh, when, will we be able to get HLD Mahindapala, Dayan Jayatilleka et al to shut up by making it compulsory for all our DNA samples to be tested, to prove that we are ALL well over 50% Dravidian! Did I really type 50%? More likely 90%! This is totally uncalled for, and rather uncharacteristic of the SM that I came across thus far on these pages. 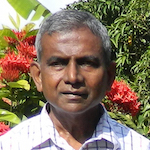 Sinhala_Man has been very good at digging out peoples’ connections and broadcasting it on these pages. Hooles, Maheshans and now Ratwattes… Where they schooled, what grades they got, who their friends and family are… nothing escapes SM, when he unleashes the google in him! It may be that I deserved that rap on the knuckles, and thanks for combining that with a a salving qualification. I hope that you have looked at some of the interesting articles that Mr Mano Ratwatte himself has written. I’m afraid that the comment itself that you object to was not accidental; JRJ made a lot of use of a “family tree” book to get that unfortunate landslide in 1977, although it was the responsible austerity imposed on the country that was mainly responsible. The leftist parties quit the coalition government about 1975, and themselves highlighted what we are talking about. Postponing elections in 1975 was unfortunate, although nothing like as bad as the referendum. Mr Mano Ratwatte has left all that family bandyism behind, built an independent life for himself in the USA, but continues to be concerned about both his native land and his adopted home. And “sekera”, your comments, too, are so appropriate and responsible; the only things is that there are so many of these rather ambiguous pseudonyms around that it sometimes becomes confusing as to who’s writing what. Thanks again for the caution! SM: Just in case you are thinking what I am thinking you are thinking… ST is not Sekara, as Sekara himself is likely to clarify shortly. I was sad because SM only dug out personal details in a rather amicable way. Sorry that I cannot clarify identity issues here because it is a waste of effort. As the saying goes, there are many enough around who “listen to Ramayana all night and declare that Rama was paternal uncle to Sita”. As usual(!) you have got all sorts of details right, but couldn’t make the crucial connection! Heart in exactly the right place, but we all get older! The GG is spoken of here, although he was not a Thomian. Mano, is it correct to say that your grandfather had a Getambe house, No. 1129, Peradeniya Road, Kandy? It is now the Peradeniya Police Station. I could tell you a few things about that huge house with only a few enormous rooms! You also mention the wonderfully honest (not exceptionally clever) Shelton Ranaraja. His sister, Sunethra, is still around: was married to my cousin. She told me that in the 2010 Presidential Elections, that she and her brother, like me, had cast our first preference for the non-racist, peace-promoting, Dr Vikremabahu Karunaratne. I met Shelton just once. Sunethra had followed the same Agriculture course as President Maithri, and is a wonderfully open and honest person. Shelton was the one man who did not conspire to throw Amirthalingam, then Leader of the Opposition, out of Parliament. Yes, July Riots Jayawardena has much to answer for! I’m not sure what crucial connection I missed unless it’s that Monty G was not a UNPer but an SLFPer for Laggala & therefore not to be connected with the JR-driven violence of the Referendum. Nor would he have had to hand in his undated resignation. I bow to your superior knowledge about who’s who in SL. Not having been born here this is one of my many weaknesses. For the same reason despite not using a pseudonym I don’t care too much to have my own relationships outed as my opinions are offered by myself alone. It is clear that you not only know a great deal that I don’t, but that you are fully committed to doing whatever you can to correct some of the wrongs that you notice. For instance, how many of others would have complied that sort of 100 page report on that infamous Referendum thirty-five years ago? A tremendous lot of patient work combines with uncalculated, spontaneous, and honest responses in all that you seem to be doing. Also, so much of it so pithily expressed. I certainly wouldn’t want you to be any different from what you are. Yes, I’ve, myself, been around for so long in Sri Lanka that there are a few things that I know, but much of what I have put on here has been by cross-checking with certain Internet blogs. Once more, I hope that whatever we have said here persuades readers who have otherwise neglected earlier writings coming from more intelligent people than me (Rajan Hoole being the main person whom I have in mind now) to go back to all that they have written after careful reading and research. All that so many have written in these responses shows a great deal of responsibility, and respect for FACTS. I do hope that I haven’t erred too much by blabbing myself! That is correct. Laggala was one of them ost remote areas of Sri Lanka. It was also basically UNP territory when young Monty Gopallawa took up the challenge to contest it. He is from Matale district. It was a diehard UNP area with Wijeratne Banda being a strong thug who threatened Monty. But in the 1970 sweep Monty won. He did a lot of good work in the remote corners of Naula, Nalanda and even in Veddah country, and there were extremely scary corners in that seat back then and no lights and basically a very backward area. But he also lost in 1977 sweep but narrowly. He came back into parliament later again on the Proportional representation system and was made a Depy. Minister, then a Minister and then also quit and lost later I think in the PR system or he stepped down. CBK made him Governor of Central Province and he died while serving. A very affable man that I campaigned for in 1970 and 1977. Long before that, indeed he was in Pera Uni and graduated with an upper class/possibly a 1st or upper 2nd. During the 1965-66 period there was unrest and JR as minister of state tried to frame him even back then. He was on Campus; there were protests but he had a Vespa Scooter that he would ride around and also use to help his friends. A friend of his, a later on famous person Prema Pinnawela(Olympic committee chairman), Insurance Chairman also was his friend. Pinnawela’s car was stuck without petrol or pinnawela needed petrol for something. They rode to Kandy town together on his Vespa to get petrol and CID accused them of bringing petrol for molotov cocktails. JR’s aim was again to frame people. JR tried to get Sir Nicholas Attygalle to threaten Monty. I am not sure what happened after that. Thank you for the information about these two politicians, Sam. Our family moved from deep south to Kotte /Mirihana where my mum’s Artygalle,Bassnayake and kothalawala families dominated and it was a mistake for us to sell up and settle in Kandy where our big family of 10 brothers and sisters married to the families mentioned above,to my regret to an extent as the siblings thus born are not normal. I was so scared of the skeletons in their cupboards, determined from the age of 14 to have foreign girl friends,just in case I get hitched to one of them in future. We liked Mr Shelton Ranaraja and also Mr Piyasena Thenakoon and they were both honest MPs. I worked for Mr Seevali Ratwatte in the water scheme where My Danish Engineer friend was in charge.I worked for 15 months, innocent young man and suffered a lot of racial harassment in the engineering drawing room where all the employee were Tamils and they use to erase my drawings when I went out for a break and was too young(16 years)to make a protest. Resigned after 15 months at the Christmas lunch where that Danish engineer was shocked to hear from me that the all powerful Tamil Chief Clark never paid me a cent for the 15 months of my hard work where I was trained by the Dane to see that the concreating the dam and the surge chamber at the bottom of the Mahavali river done to the highest engineering standards. My burgher friend and I had a hell of a time getting this work done to perfection which was life threatening at times. I must say the standards of our work of the Sinhalese sub contractors and their workers were utterly hopeless, subsequently my burgher friend met with ‘an accident’ at a work site and died.S.Rattwatte too was related to us by marriage but we never complained but move on to another opportunity created by an American friend in Colombo. My American friend was an investor and he was a chemical and textile expert,highly qualified. He was just passing through Colombo like Arther C.Clarke and I made friends and made them stay in SL. In my new job in Colombo I manufactured our own electrical textile weaving machines and once again I encountered the stupidity and substandard workmanship of the lath workers at Panchigawatte.They never listened to you in doing precision work in turning out various parts for the machines and after many frustrating moons got the first electrical weaving machine working. We had a factory in Mahragama and Moratuwa giving jobs to many. We decided to open a factory in Jaffna as well,beacause my driver was pleading that we should set up one to give employment. I was delighted but they never allowed me to buy land and small factory was set up in the land of a kind educated Tamil gentleman. We had nothing but trouble from a young gang who were smugglers later became some nasties in politics. They dictated whom we employed and never allowed put a show room to sell our materials and in one occasion they cut the tyres of our car where we had to visit there often.Sadly the government of Mrs SWRD was defeated and Dudley came to power where we helped him with a bogus Chinese scare. We were hoping to put up a chemical plant as well,using the chlorine that was wasted at Paranathan.Getting the approval was difficult with JR putting corrupt conditions and only person that was helpful was the Minister Philip Gunawadane. To make the storey short JR used then Tamil Assitant commissioners of the immigration dept to unjustly arrest my friend on our trip from Jaffna,locked him up in Slave Island police station and kicked out of the country like a dog.While he was locked up I went to the immigration office and confronted the Assistant Commissioner and he blamed my dear American friend one Challoner.C.Chute for going to ‘their country’.Upto that time the US embassy officials were our friends where we socially met.One of them was the first secretary on Mr Harrigton,he visited my dear friend at the lock up and was fuming with anger for Cute having a business in Jaffna.He too referred to Jaffna as ‘their country’.Harrington was brainwashed he demonstrated his anger by lighting cigarette lighters so vigorously the sparks were flying on to me.He kept on saying why we ever went there to Jaffna.He was not the same Harrigtoin we knew and I brought this story to many US officials I worked with in London. The Immigration officials were uttering some stupid remarks when he was taken to the plane Quantas at the then RAF air force base at present Katunayake. While he was locked up we demonstrated outside the Senate house where Dudley had his office and he instucted Bradman Weerakoon to find out what was going on outside and Brdman threatened us with police if we didn’t vacate the streets. Later I found out that Weerakon had personal friendships with likes of Puladevan of the tiger out fit. That night when my friend was deported,gave the keys to the factories to my driver and told him to drop me at the Fort Rail way station where I took the night train to Kandy.I told my staff to take our valuable car and all the contents of the factories. Next trip was to take the ship to UK and I never took an visa as I was furious and disappointed with UK High Commission and the American Embassy for not coming to the rescue of my dear American friend. We were pleading for help and only good people were the police offices of the Slave Island police station(some of them were burgher),took him out of the cage when the nasty immigration officers left and let him say in one of their staff quarters.Ony friend we had was the one time employee of the lever brothers one Mr Upali Wijewardena and my relatives, Justin Kothalawala and Justin Silva of Cylinco where I contently annoyed them by parking my chauffer driven car in their car park. They missed my cheek when I was no more in the island and I was only 19 years. I think we are our own enimies.It past 3.30AM here in cold London still haven’t finished the day in my business. Good night. I remember reading the SUN those days and admired the investigative columns that exposed the miscreants in the UNP Government at the time, which included, as Rajan Hoole has revealed, the information about “Kalu Lukcy”, the 29th accused of the 1971 JVP Insurrection, who had been behind the attack on the three Supreme Court Justices. IF my memory holds me correct, the Justice Minister at the time was Nissanka Wijeratne, and that same SUN article that explained that the Minister Wijeratne had in Parliament that same week accused Kalu Lucky as the culprit behind the attack. 24 hours later, after the pronouncement of the Minister, the SUN newspaper published the speech of the Minister along with a picture of the Minister himself as the attesting witness at Kalu Lucky’s wedding, and a copy of the wedding registration that had the Justice Minister’s signature. The Sri Lankan public learnt much to their chagrin that the very Minister in charge of Justice was actually behind the attack on the three supreme court justices serving the country at the time. The JRJ Government tried to pin the blame on the JVP, but the SUN exposed it. Pity that SUN folded a few years after that, because the UNP under JRJ took their revenge by forcing the Gunasena family to close down the newspaper by not extending credit for news print purchases. Nothing has changed in Sri Lanka. I presume Justice Percy Colin Thome got disgusted by the whole sorry saga and put in his resignation papers and migrated to Australia because of this incident. I am troubled by the phrase “minimal judgement” as it questions the basis of the verdict. 1. Affidavit of Mrs. Ouida Keuneman where she says she saw the 1st respondent throw down the petitioner. In the meantime she herself was pushed about and she saw the petitioner lying on the floor. When she went to help the petitioner she saw the first respondent’s boot on the Petitioner’s body. 2. Statement of Mrs. Ouida Keuneman to the Police. Here she says the Police Officers pushed the petitioner and she fell down. When she fell she was kicked. she does not single out the 1st respondent as being the perpetrator of any of these acts. 3. No specific allegation of kicking or degrading treatment by the 1st respondent has been made by the petitioner’s lawyer in three letters B, C, and D Written obviously on petitioner’s instructions on 18.3.1983. 4. An affidavit of the press photographer whose arrest, according to the petitioner, sparked off this incident has not been filed. Needless to say his testimony would have been very valuable yet it has not been made available. 5. The 1st respondent and the other Police Officers who have filed affidavits have of course denied the allegations. The Police Officers for their part accuse the petitioner of having pushed Sub-Inspector Ganeshanautham and slapped Constable Thaveendiradas. Further there is a statement in the letter X that the petitioner twisted the arm of a Policeman. In this state of the evidence I regret I am unable to hold that the allegation of degrading treatment has been established by proof to the high degree of probability required. I do not know if any substantial evidence had been ignored by the Bench that Dr Hoole may be aware of. If there is no crucial bit of evidence that has been ignored by the judges their verdict seems fair based on evidence before them. I agree that there was injustice. The fault is in the way the system operates. Witnesses are bribed or bullied into silence, production material in police custody disappears or is substituted and false evidence pops up with the help of the police and court officials among others. I know far worse victims of the system than Vivienne G, but that does not justify what happened to her. But to call a judgment “minimal” without sufficient reason is unfair. The fault lies elsewhere and fingers need to be pointed in that direction. What the world has are, unfortunately, Courts of Law and not Courts of Justice.